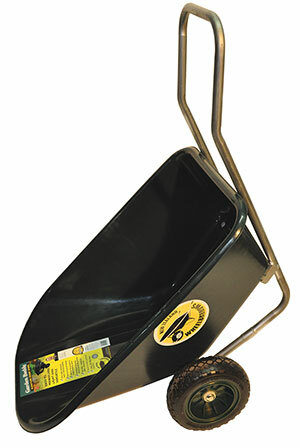 A new, unique design from New Zealand Wheelbarrows. Has the strength to lever a 40kg bag of compost off the ground like a hand truck. Stands tipped forward to receive a load. Rake garden debris into it. Roll a rock into it. Slide a heavy object, like a large pot plant, into it. 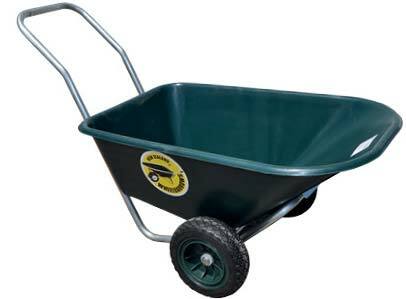 Especially suitable for those who like to get out into the garden, but find balancing a wheelbarrow difficult. Wheels can never get a puncture.